Intellect knowledge is a brand which is known everywhere. Training is for participant’s assistance not for business. Well quality training, well hospitality and well customer service. Lowest prices when compared with others. Need not to pay twice or thrice the amount for attending from other countries. Assistance in placements, we try our best to help our trainee. Let us all combine and make KNOWLEDGE our goal! 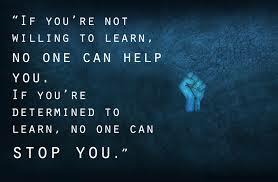 If not willing to LEARN, no one can HELP!� If determined to LEARN, no one can STOP!